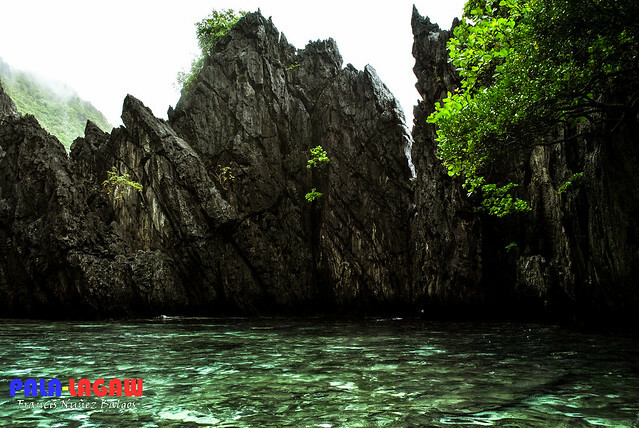 The Secret Beach, having a curious name for a place in Matinloc Island, El Nido, a secluded location that's best understood when visited. In this case, not just seen but experience. Surely, this is a curious place, the entrance alone is a challenge, I can't reconcile the fact that this was the inspiration for a scene in the movie of Alex Garland "The Beach" where Leonardo Di Caprio with the girl takes a dive in a beach during a moonlit night only to come up to another beach full of glowing Bioluminescence. 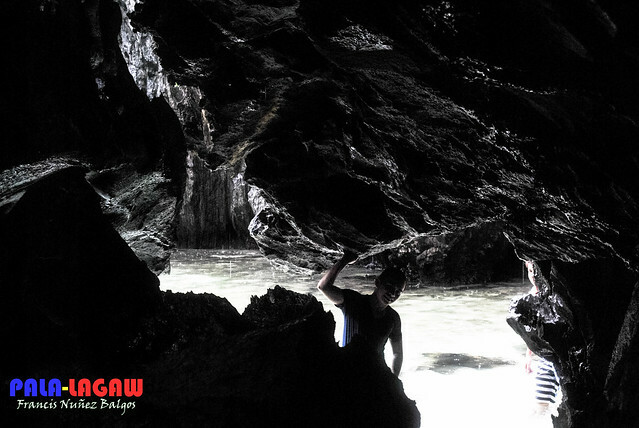 The Secret Beach lives up to the idea, but its much more raw, the danger more real, the challenge more life threatening. More so that when I tried this trip, it was raining hard in El Nido, I'd never seen a place more beautiful and unforgiving under rain cover. Lucky that I bought a dry sack before hitting the road to El Nido, Palawan, it proved to be helpful in this trip. 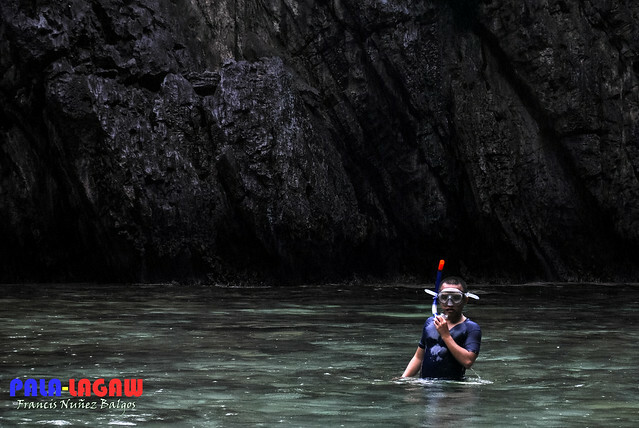 Secret Beach is one of the highlights in Tour C, one of the 4 package tours scouring a few open locations in El Nido's 45 magnificent and beautiful island peninsula. Rain swept and shivering but in awe of the beauty around me, I was surprised when the boat docked in front of an imposing rock karst wall, straight up and looking deadly up close knowing that the waves are hitting the wall a little too hard. We strapped ourselves with life vest and jump off, not in the beach but in the middle of a strait between Matinloc and Tapiutan Island, with the strong currents, find had to find our way towards a very small opening that's just bobbing above water. It's no wonder that only the adventurous of the tourist would dare take this trip, Tours A and B are understandably family friendly island hopping which means more people on board, this Tour C however will only accommodate just a few and that we have to find a guide that's daring enough to take the challenge. Just a small opening in the wall. Our guide had to scout the entrance first, skillfully maneuvering the strong waves that's hitting the rock wall, and finding a foothold among the sharp edges of the Karst Rock. With a go signal to come one by one, all four of us approach the wall with caution, we rode the waves as the guide pushed us inside the opening. We plunged into another water world, just my first thought once inside. It's a small pool with a secluded white sand beach enclosed by walls of rock. From being in an open water, I found myself standing in a water waist deep littered with white sand and smooth limestone, with specks of corals. Threading carefully, I opted to keep afloat above water so I could avoid the corals, its amazing to do it anyway as this pool is filled with aquarium variety of fishes. Because it was raining hard, I kept my camera stowed in my dry sack. But I only get one chance to photograph a place such as this. So I requested for the guide to retrieve my sack. It must endure this crossing, and it did. Once inside, we shot photos along the shades, and in a chance that the rain was letting up, I took sections of the enclosure. We were not the only tour boat for this day, though we got here first, all four of us in the outrigger boat were fit and able enough to perform the physical challenge. But one of the female guest that followed us got almost drowned because she panicked on her approach. I guess this really is not for everyone, but it was worth it. Alex Garland had found this inspiration to his movie, though the scene in the beach wasn't shot here, it lives up to the idea. The scene was shot to be spectacular and romantic, and the secret beach is only spectacular to some degree, but its beauty is more raw and fascinating, so I logged this to be one of the most unforgettable places I've visited. Opting for a raw water adventure. I may try this once again on my next visit, who knows what this place looks like when bask in sunlight. @killerfillers - it's not that secret at all.. hahaha! but well hidden perhaps. this is a perfect get away for this season. I'll include this in my bucket list. thanks for sharing. btw, "The Beach" made me drool for its clear waters, seems there's a lot more out there worth checking out. Karst Rock Wall is really amazing sites.:-). seriously ? secret beach ang pangalan ng beach ? Those are great shots. 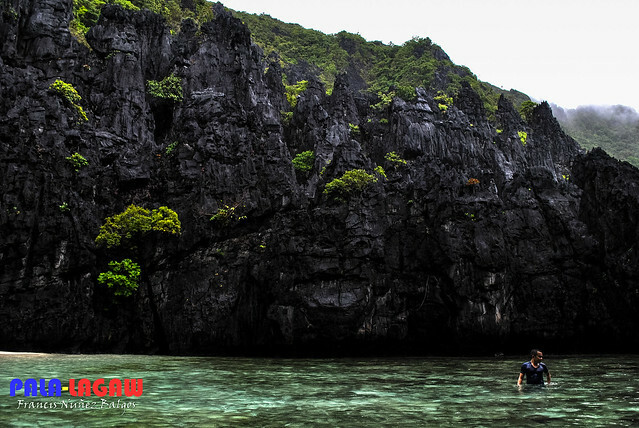 Especially the first one, breath-taking talaga ang ganda ng El Nido. The name does aptly describe the place. now the Secret Beach is no longer a secret! thanks for giving us a true account of the place. i am curious at its beauty, and for the life of me might try the dip if i'm in Palawan and availing of Tour C.
I would really love to go and experience this myself, Francis. Iniinggit ninyo ako, sana payagan na akong mag travel talaga! Pag pinayagan ako samahan ninyo ako ni Gabz ha? Hindi na ako bibili ng waterproof na camera, manghihiram na lang ako sa inyo ang gaganda ng mga pictures ninyo! Panalo! omg. I super love this place. 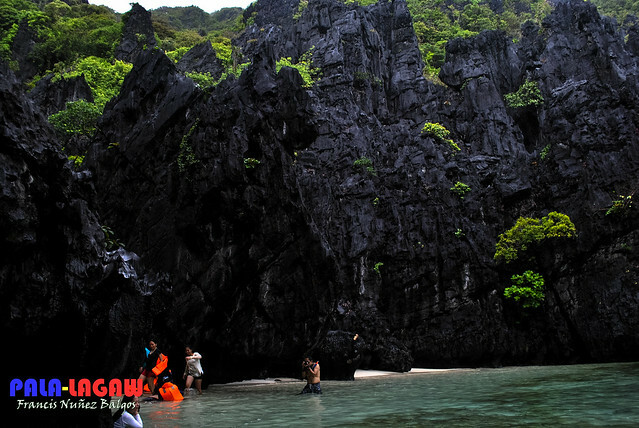 One of my fave islands in El Nido! All the adventure and the marvelous beauty of this place, super perfect! El Nido is such an enchanting place. This is a nice place! THE VIEW IS SPECTACULAR. BUT THE THOUGHT OF GETTING DROWNED OR BEING ENVELOPED WITH WATER ON THE WAY SCARES THE HELL OUT OF ME >.< IM A SCAREDY CAT! BUT THANKS FOR SHARING! Wow beautiful place, thanks for sharing.